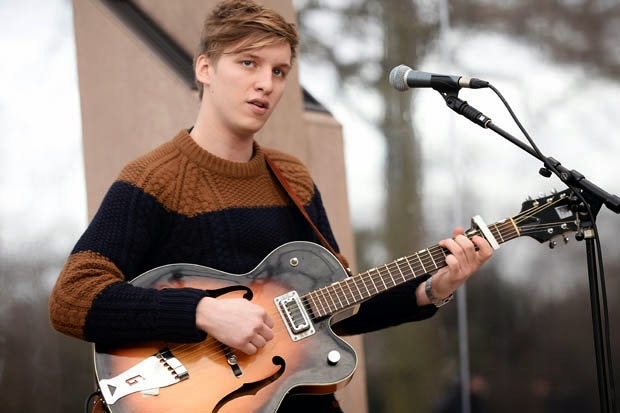 George Ezra has a voice beyond his years. When I first heard his chart-topping debut single, 'Budapest', I had no idea this voice belonged to a guy only one year older than me. With a sophisticated tone and and intriguing yet uplifting melodies , Ezra's debut album 'Wanted On Voyage' has fast become the sound of Summer. Since discovering the album on 'Spotify' about a week ago, I've been listening to it non-stop. I usually only buy one or two songs from an album, but in this case I went ahead and purchased the whole thing. I simply couldn't choose what songs I wanted! I'm often teased for my personal music taste. My iPhone is filled with easy listening, some classic cheese, and some more unusual artists. Thus, George Ezra slipped in perfectly. He's already enjoyed a lot of commercial and radio success with 'Budapest' and I doubt his later singles will fall short. His music is uplifting without conforming to the music industry's fixation on bubble-gum pop and heavily auto-tuned voices. Ezra is a talented young guy who appeals to a large audience - his mature voice makes him accessible to slightly older generations, whereas his overall sound is aimed at an audience his own age. I love this album so much that I spend a five hour drive to Cornwall listening to it on repeat. I have a tendency to overplay songs to death... but so far, I'm still loving it! Again, it's easy, happy listening. Ezra's voice is warm and has so much depth - 'Wanted on Voyage' is the ideal soundtrack for lazy afternoons. Or in my case, a long car journey. However, 'Barcelona' has given me a serious case of wanderlust - as if I wasn't bad enough already! With soft guitar riffs that remind you of the Spanish sun, this sweet little song is my favourite of an already fantastic album. 'Every time you have to go, shone my eyes and you know, I'll be lying right by your side in Barcelona.' This short, sweet song is filled with romantic imagery that melts your heart. An absolute must-listen, this is my song of Summer 2014.